The Ravenspoint Centre & Tea Room at Kershader is the gateway to South Lochs, the hidden jewel of Lewis: an area with a strong Gaelic culture, dramatic history, beautiful scenery, coastal villages, and rare wildlife. 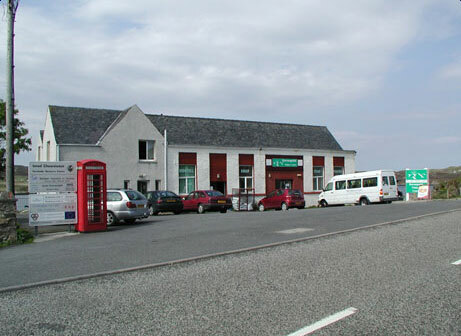 There is also a small tea-room for light meals and refreshments, and a well-stocked community shop. There is a 14-bed hostel, and other visitor attractions such as the remarkable Angus Macleod Archive and local history museum.